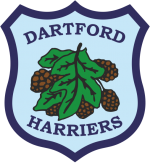 Run Jump Throw provides our Dartford Dashers with the first opportunity for competition in a very friendly and supportive environment. All athletes will receive a certificate and attend an awards presentation at the end of the day to recognise their achievements. We would very much like for each athlete to compete in three main events and to allow for completion of certificates, participate in the 600m fun run. Start time Event Age group(s). Registration is on the day, in the club house. Registration will open from 13:00 and close at 13:30. Run Jump Show is reliant on a number of volunteers to help support the event. Duties range from raking the sand pit, returning the Javelins, time keeping and writing numbers down as athletes cross the finish line. If you are able to support, please speak to Gary Capon.